In comparison to Sydney, Melbourne and even Brisbane in the eastern states people see Adelaide as a sleepy, laid back city, however those who live in South Australia prefer it this way…. It’s the sort of city you would think “what a great place to bring up a family” but don’t be fooled South Australians LOVE a good party…. Most of the population in South Australia live around the capital city and along the coast as much of the northern part of the state is very dry with very little rainfall for much of the year. Where as winters can be cold, wet and miserable. Temperatures can be quite extreme between summer and winter, although there are some beautiful days in-between. Some of the best beaches can be found south of Adelaide and the big waves attract lots of surfers. You should take note also that there have been quite a few shark sightings in this area too as it is more open ocean rather than the local beaches that are more in the sheltered gulf area….so ALWAYS take precautions. The hot summers attract thousands of people to the local beaches that are only about 20-30minutes from the city center. Glenelg beach is very popular and has access via tram from the city. South Australia is famous for it’s world class wines. The Barossa Valley and the Clare Valley are two very popular spots however there are other wineries located in the suburbs – St. Agnes and Tolleys Winery northeast of Adelaide. In total Adelaide has more than 200 cellar doors all within an hour’s drive so make sure you allow plenty of time to visit, and have a designated driver as wine tasting is available from most of them. Adelaide is also known as the “Festival City” and hosts a variety of festivals that are definitely worth visiting if you are there at the time. Adelaide airport, domestic and international, is situated close to the city, (only seven Kilometres) and have direct flights to all of the capital cities as well as major Asian airports. Interstate coaches and trains including The Ghan Transcontinental train which takes you through the red centre of Australia to Darwin on the northern coast. Adelaide was voted Australia’s most livable city. 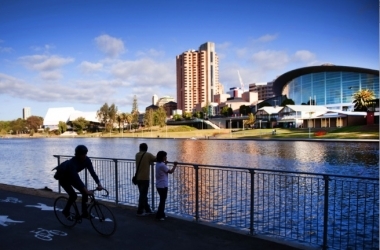 It is a very cosmopolitan city built by the Torrens River and surrounded by parklands and gardens. Adelaide is a very attractive city and easy to navigate as it was one of Australia’s “planned” cities built on a grid like structure, unlike Sydney, Melbourne and Brisbane that just grew with the population growth, in an unorganized fashion. Adelaide has a fabulous Zoo situated only a short bus ride from the CBD or a short ferry ride along the Torrens River. The zoo is home to Wang Wang and Funi the giant pandas as well as an amazing collection of animals from every continent in the world. There is a kids section where they can pat and get up close to native Australian animals as well as more domesticated animals. Animal enclosures are well kept and the standard of care for the animals much higher than seen in other zoos throughout the world. There are more than 700 restaurants, cafés and pubs in Adelaide serving food from around the world and the quality of restaurants in Adelaide is very high. 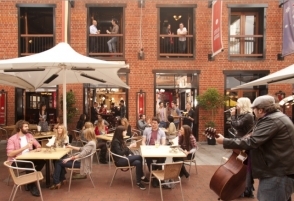 Rundle Street is the heart of the city and where most of the major shopping precinct is. Discover leading designer labels as well as young funky clothing stores mixed with gifts, home wares and jewellery stores. There are heaps of café’s and bars that also come alive at night. and a popular day out for locals. There are lots of little villages such as The Chain of Ponds that are perfect for a picnic and a photo opportunity. A short stroll from the shopping center of the city will bring you to North Terrace where you will find Parliament House, The South Australian Art Gallery, Public Library and Museums. These spectacular buildings house some amazing pieces and definitely worth taking the time to look. 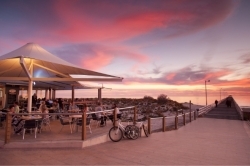 There is over 3,800 kilometers of coastline in South Australia along which there are some really interesting little towns as well as some larger towns such as Port Lincoln, the tuna capital and Port Pirie which is more of an industrial town. Most beaches in South Australia have jetties and Port Germane has the longest jetty in South Australia. The coast is attractive for fishing, boating and surfing with some beautiful beaches and spectacular cliffs and scenery that will take your breath away. The state juts out to the sea in a number of peninsulas, Fleurieu Peninsula and Limestone Peninsula to the south and Yorke Peninsula and Eyre Peninsula to the west. 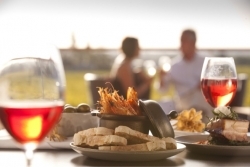 Many coastal towns will offer a brilliant blend of wine and fresh local seafood. The Murray River is less than two hours drive from Adelaide and winds more than 600 kilometres through South Australia and eventually meets the sea. 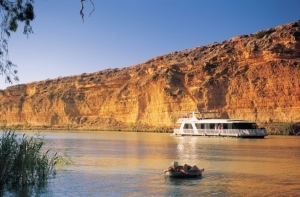 There is so much to do on the Murray River you might want to stay more than a day. You may decide to hire a houseboat at Murray Bridge and cruise the river. There are a series of locks and weirs dating back to 1920 that are still in use today (14) and eleven ferry crossings that run 24hrs a day 7 days a week and are free to use. Cruises are available on Australia’s largest paddle steamer the P.S Murray Princess which will take you past historic towns and view abundant wildlife on the banks of the river. Situated just two hours drive and a short ferry ride south of Adelaide, Kangaroo Island is a very popular tourist destination. With pristine beaches and unique wildlife the rugged untouched beauty of the island is a definite draw card. Fishing and eco tours or charters are just some of the things to do on Kangaroo Island. Tourists enjoy beautiful sunsets, peace, tranquility and of course a good drop of wine. 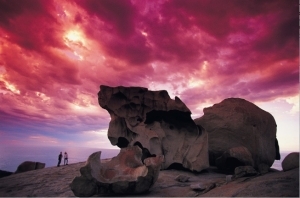 Kangaroo Island is one of earth's last un-spoilt refuges. The koalas aren't being cuddled - they're relaxing at home in native trees. The seals aren't performing - they're lazing beside you on the beach. Half the native bushland on Kangaroo Island remains just as it was when British navigator Matthew Flinders put a name to this untamed wilderness in 1802, and more than one-third of the Island is National or Conservation Park. But beauty comes in many forms: views from seaside cottages and cliff-top cabins and, of course, there's the wine and food. Watch this video and see why on Kangaroo Island you can get the entire authentic Australian experience. Barossa Valley is just over one hour’s drive from Adelaide and has over 80 cellar doors – just waiting for you to taste their wine…. The Barossa has become a major tourist spot for locals as well as visitors to the region. It is a popular weekend destination and also bus tour destination. The Barossa is famous for its red wines particularly Shiraz and rich flavoured Cabernet. Close by is Eden Valley where Reisling and Chardonnay is more prominent due to the higher cooler altitude location. With more than 40 cellar doors the Clare Valley has so much more to offer. Heritage towns and trails, cycle tracks, museums and galleries as well as quaint little cafés the Clare Valley is picture perfect. 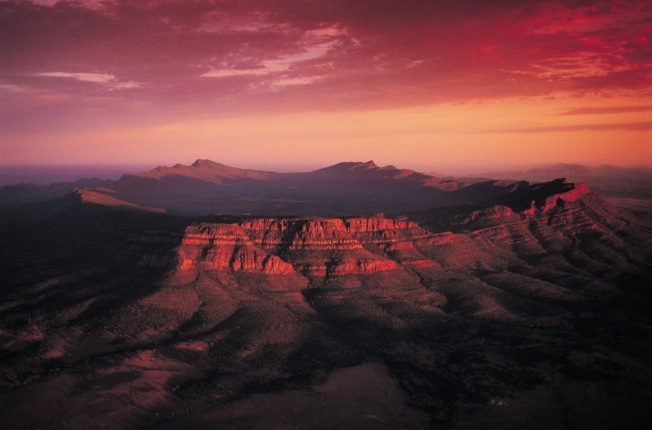 View the ancient landscape of the Flinders Ranges. Massive gum trees, creeks and remains of old farm houses are some of the things you will find. The landscape is harsh the mountains are domineering with razored edges and moss covered rocks. The wildlife consists of emus and kangaroos that comfortably come close. Wedge-tailed eagles soar above the horizon and form shadows against the glowing red sunset. Red sand and spinifex liken the place to a desert environment but there is a peacefulness in the bush that is hard to describe. Explore the gorges, walkways and waterholes on one of the many walking tours. Flash flooding can occur in the Flinders Ranges so please check carefully before trecking through gorges or endeavoring on walking tracks without a guided tour.